As a builder or real estate agent, proactively marketing your Zero Energy or Zero Energy Ready Homes to homebuyers is more important than ever. In Part 1 of this series, we explored some tips on identifying what type of Zero Energy Home customer you may come across—the value and emotion oriented buyer, the technically oriented buyer and the environmentally oriented buyer—or a combination of all three. Knowing who your customers are and “where they are coming from” is a very important first step in marketing your Zero Energy Homes. Here we explore four strategies, or four ways to talk to your customers, that may be helpful in inspiring them to purchase and own a Zero Energy Home. When considering these strategies, it is important to keep in mind that polls show that people are skeptical of, or confused by terms, such as “green” and “sustainable”. That skepticism or confusion may also apply to the term “Zero Energy Home.” So it is important, in each of the strategies described below, to focus on the multiple benefits of these extraordinary homes, rather than overly focusing on the Zero Energy aspect of these homes. 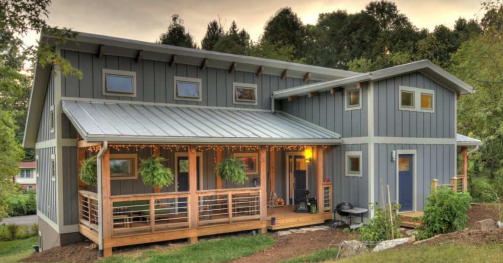 This Zero Energy Home in North Carolina does not lack in amenities, comfort or aesthetics. Sam Rashkin, Director of the U.S. Department of Energy’s Zero Energy Ready Home program proposes that real estate agents and builders convey the “Power of Zero” when marketing Zero Energy Homes by using three key value propositions—that Zero Energy Homes live better, work better and last better than traditionally designed and built homes. The first value proposition that Rashkin uses is that a Zero Energy Home “lives better” due to its engineered comfort condition. What this means is that how we engineer the wall systems, windows, and HVAC systems in a Zero Energy Home result in a level of comfort that is above and beyond traditional home construction. Zero Energy Homes also “live better” due to superior indoor air quality and moisture control that gives the occupants a healthy indoor environment. Rashkin maintains that Zero Energy Homes have such advanced design, construction and technologies that they perform, or “work better” than traditionally built homes. This not only refers to the superior energy performance, but also to other performance advantages such as having a quiet, peaceful home (due to airtight double walls or triple pane windows), and an easy to clean home due to airtight construction and filtered air systems. The final value proposition that Rashkin offers is that Zero Energy Homes “last better” due to quality design, construction and performance systems that result in a more durable home. Zero Energy Homes are built to last with double wall construction with advanced framing, using kiln dried wood. Meticulous air sealing also seals out moisture, which can be one of the biggest threats to a home’s durability and integrity. 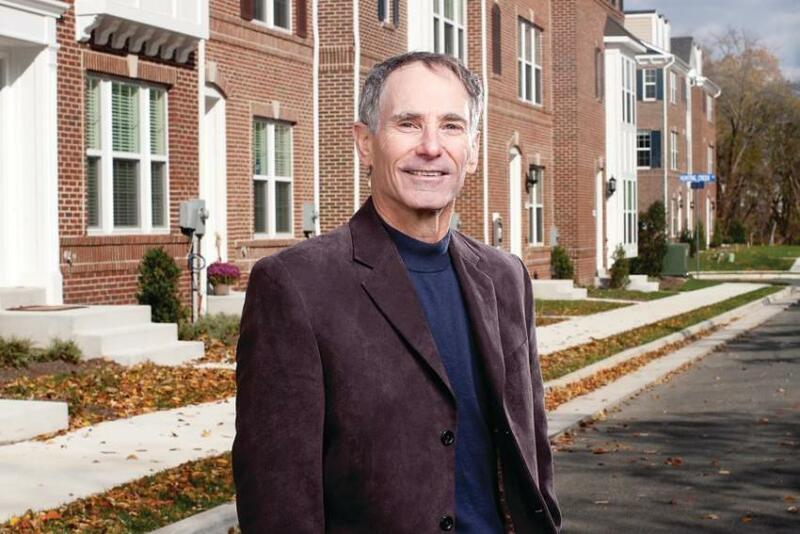 Raskin also conveys the emotional “Power of Zero” by using phrases such as “parents can often throw away their children’s inhalers”, the home provides a “blanket of comfort”, the home is built to the “highest quality standards”, and Zero Energy Homes provide “excellence based on recommendations from the best housing experts in the nation.” He strongly suggests connecting with a buyer emotionally, by providing the real everyday benefits of living in a Zero Energy Home. He also asks people to…. Imagine a home with no utility bills knowing the average low-income family can spend 20% or more of their salary on energy costs. Imagine a home where occupants’ health is so well protected, parents can often throw away their children’s inhalers within months of moving in. Imagine a home where advanced construction practices provide a blanket of comfort like nothing we have experienced before. Imagine a home built to the highest quality standards with detailed checklists and independent verification. Imagine a home built to rigorous guidelines for excellence based on recommendations from the best housing experts in the nation. Imagine a home that protects each family’s investment well into the future by meeting and exceeding future code requirements and performance expectations. The truth is that you don’t have to imagine this home. The DOE Zero Energy Ready Home delivers all of this incredible value to each and every labeled home today. And every time we don’t build a home to DOE Zero Energy Ready Home specifications, the resulting opportunity costs can last for hundreds of years. Sam Rashkin proposes finding an emotional connection between your customers and a Zero Energy Home. The Zero Energy Advantage is a concept that shows your potential homebuyer that they really can have everything they want in a home and that having superior efficiency and performance does not mean that they need to sacrifice other things. In fact, each of the energy saving technologies and features in a Zero Energy Home have positive side benefits such as providing greater comfort, convenience, health, and quiet. Lower Cost of Ownership: Because a Zero Energy Home has no energy bills, other than a monthly hook-up fee, a Zero Energy Home costs less to own than a similar home. Your monthly savings from having no energy bills and lower water bills more than offset any increased monthly mortgage payment. Year Round Comfort: A Zero Energy Home has a highly energy efficient heating and cooling system that makes the home exceptionally comfortable all year round with, steady, constant temperatures, in an easy to use, quiet, comfort system. Instant Hot Water: Most Zero Energy Homes economize hot water by centrally locating the hot water heater and/or by using an energy saving circulating hot water system. The added benefit for the homeowner is having hot water almost instantly with no waiting. Lighting You Want Where You Want It: A Zero Energy Home often uses energy saving LED lights. A side benefit of this technology is that LEDs can provide bright light where you need it and soft light where you want it, to complement natural light from natural day lighting common in Zero Energy Homes. Superior Air Quality: A Zero Energy Home is so airtight that it requires a very energy efficient ventilation system. These fresh air systems provide pre-heated (or pre-cooled) fresh filtered air, free of pollutants and allergens. Better Health: A Zero Energy Home is so airtight it has to be constructed with non-toxic finishes and surfaces that are low or no-VOC and free of formaldehydes and chemicals. Together with fresh filtered air, this makes a Zero Energy Home healthier than standard homes. A Much Quieter Home: Because a Zero Energy Home is built to be highly airtight, with well-insulated double walls, and triple pane windows, it is an exceptionally quiet, peaceful, home, well protected from outside noises. Quick and Accurate Cooking: Many Zero Energy Homes use highly energy efficient induction stovetops. With induction stovetops, you can cook quicker and with more fine-tuned temperature control than with a gas stove without any of the internal air pollution created by a gas stove. In addition, induction stovetops are much easier to clean and cooler to touch (making them safer for children) than standard electric ranges. A More Durable Home: Many of the construction technologies that make a Zero Energy Home more energy efficient also make them more solid and durable homes that are built to last. Some of the technologies that make these homes more energy efficient and more durable, include double wall construction, advanced framing, kiln dried wood framing and meticulous air-sealing that seals out moisture, which is often the biggest threat to a home’s integrity and durability. A Cleaner Home: The airtight construction and fresh filtered air system used in a Zero Energy Home make it easier to clean, due to the reduced dust and particulates in the air. Lower Water Bills: The energy saving “water sense” controls on hot water faucets and the energy saving dishwashers and washing machines often used in Zero Energy Homes reduce the use of hot water and lower your water bills. In addition, most Zero Energy Homes use water saving toilets and landscaping. Zero Net CO2 Emissions: All the technologies that go into a Zero Energy Home to reduce energy also contribute to a home that has net zero carbon emissions while providing all the benefits of an advanced, healthy, comfortable home. The Home of the Future—Available Today! A Zero Energy Home that leads the way in performance, comfort and technology can be yours today. In a few decades, all homes will be built this way. But YOU can live in this home of the future – now! Don’t Settle for an Outdated Home. Another way to connect with innovators is to ask them, “Why buy a new home that is already outdated when you can buy a new home with the latest advanced building, mechanical and appliance technologies?” This approach provides an opportunity to describe the many inadequacies of a standard home in comparison to the advanced technologies in a Zero Energy Home. Be A Pioneer. Zero Energy Homes are a growing movement. Feel good that you are challenging the status quo and boldly making a statement that you are on the cutting edge – the cutting edge of housing technology, the cutting edge of energy efficiency, and the cutting edge of environmental protection. Be a Leader in Protecting the Environment for Future Generations. By purchasing a Zero Energy Home, you can lead the charge in protecting our environment for future generations. 4. Share Your Own Enthusiasm for Zero Energy Homes. What benefits of a Zero Energy Home are most exciting to you and how can you share that excitement with your customers? Sharing your genuine enthusiasm and excitement for the benefits of Zero Energy Homes can be infectious. We’d like to hear from you. What approaches have you found to be most effective in marketing highly energy efficient homes? How have you helped inspire homebuyers to learn more about Zero Energy Homes? Please share this post, leave your comments below, or feel free to contact us directly to share your ideas.